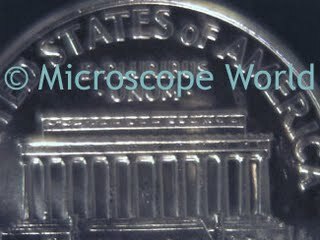 Low power or stereo microscopes are great for looking at things you might hold in your hand. 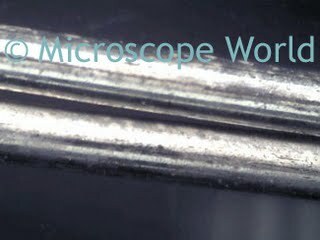 These microscopes allow you to view details in objects that you can already see with the naked eye. Sometimes these microscopes will use no light, such as the 185 elementary microscope. 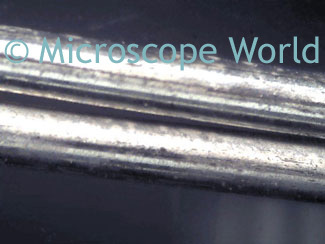 Other stereo low power microscopes will have top and bottom illumination, such as the 460TBL microscope. The amount of things you can view with a low power microscope is endless. Paper clip at 20x magnification, captured with MC352 camera. Penny at 7x magnification, captured with the MC352 camera. Looking for other things to look at over the holiday with your kids? Check out the list below for some fun ideas of items you can view with your low power stereo microscope.